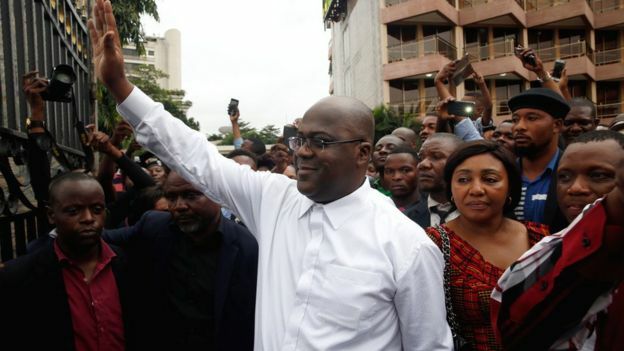 Two African presidents have congratulated Democratic Republic of Congo opposition leader Felix Tshisekedi for winning last month’s presidential poll, despite the African Union saying it had “serious doubts” about the result. The constitutional court ruled that Mr Tshisekedi had won after rejecting a challenge from rival Martin Fayulu. He said Mr Tshisekedi made a deal with outgoing President Joseph Kabila. Kenya’s President Uhuru Kenyatta and South Africa President Cyril Ramaphosa both sent their congratulations. How does Tshisekedi’s victory in DR Congo add up? Mr Ramaphosa called on all parties “to respect the decision of the constitutional court and commit to continue with a journey of consolidating peace”. The southern African regional group, Sadc, has also welcomed Mr Tshisekedi’s victory saying that all Congolese should support the president-elect in his bid to maintain “unity, peace and stability”. The African Union, which was supposed to send a delegation to the DR Congo on Monday, has now postponed the trip. On Friday, it had called on the court to refrain from ruling on the result of the vote. What does Martin Fayulu say? Mr Fayulu, who the electoral commission said was the runner-up in the 30 December election, said he was the “legitimate” president. Accusations of fraud are supported by comments from some election observers including the influential Catholic Church. Mr Fayulu said his supporters should organise “non-violent protests all over the country to defend its sovereignty”. How does the constitutional court see it? The court said Mr Fayulu had failed to prove that the election commission had announced false results. 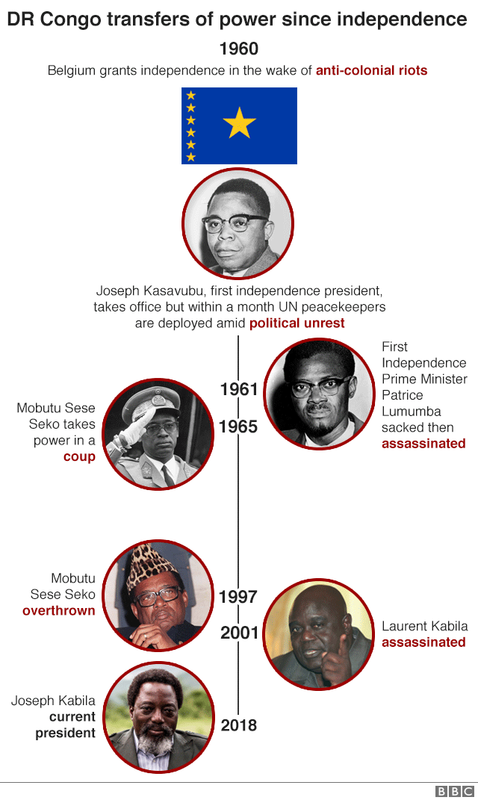 It went on to declare Felix Tshisekedi “president of the Democratic Republic of Congo by simple majority”. He is now expected to be sworn in within 10 days. Violence has always accompanied the change of leadership in the country. 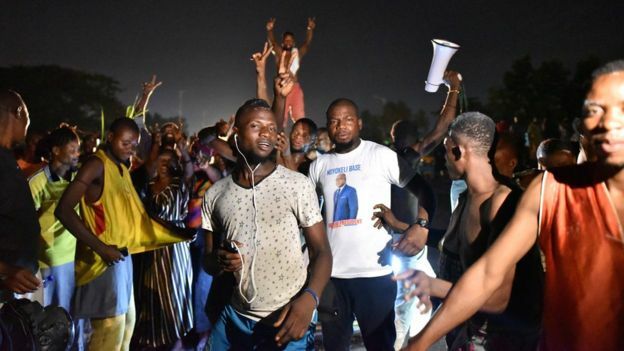 But the row over the the results has dented hopes the election could bring the first orderly transfer of power since DR Congo’s independence from Belgium in 1960. What about the 30 December poll? The electoral commission earlier announced that Mr Tshisekedi had received 38.5% of the vote, compared with 34.7% for Mr Fayulu. Ruling coalition candidate Emmanuel Shadary took 23.8%. However, Mr Fayulu had argued that Mr Tshisekedi had struck a deal with Mr Kabila, who has been in office for 18 years. Mr Kabila was constitutionally ineligible to run for a third consecutive term. The election should have taken place by the end of 2016 but was repeatedly postponed because of logistical problems, officials said. There were a series of delays on voting day. The failure of new electronic voting machines in some polling stations was one of the challenges. 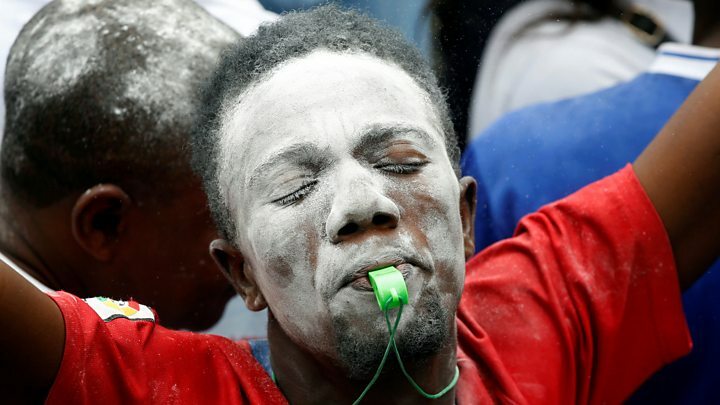 The run-up to the poll was marred by violence and controversy over the decision to delay voting in some areas for health and security reasons – in effect excluding some 1.26 million out of an electorate of nearly 40 million. The official figures have been disputed by the Catholic Church which says it deployed 40,000 election monitors across the country. 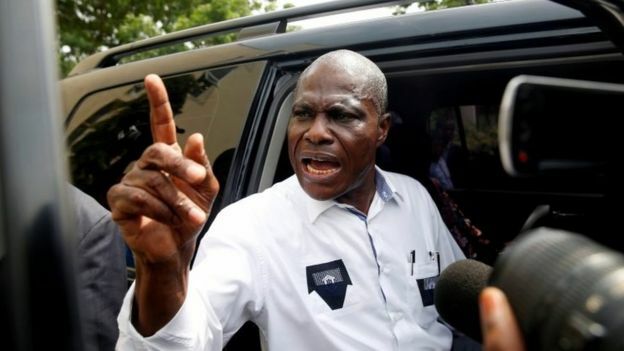 Data that was leaked to journalists from three outlets – including the Financial Times newspaper – working alongside a New York-based think tank, the Congo Research Group (CRG), also indicated that Mr Fayulu had won.